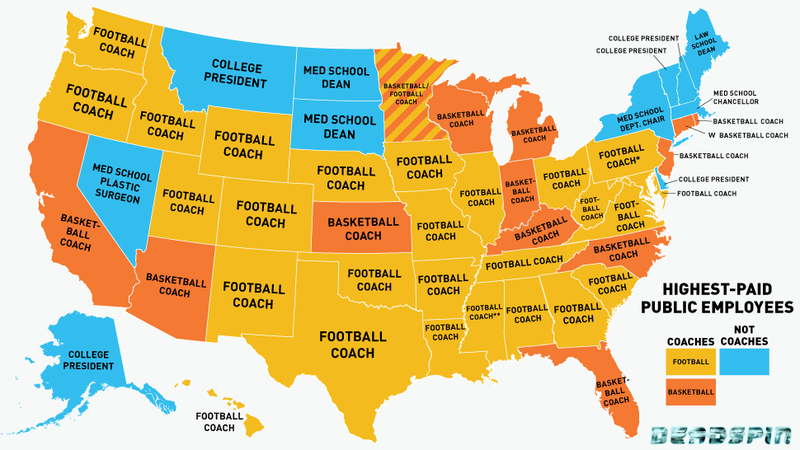 Presented without commentary this map compiled by Deadspin of the highest paid public employee in each state. Keep writing those tuition checks boys and girls - championships don't come cheap! Just a quick commentary on today's market action: again down was up and up was down for most of the day. However around 1:28pm a weird thing happened. Someone hit the market with massive sell orders and it looked like someone had cut the power to the high frequency traders. However, upon closer inspection it appears one market maker got stuck with too many futures and was forced to unload them all at once. This lead to sharp sell-off and subsequent rebound when the market caught its breath. This speaks to the nature of these markets that are not driven by future profit prospects, but rather the technical nature of the buys and sells order flow. * Jim Rogers, one of the most famous investors of the past 30 years, said "Eventually, the whole world is going to collapse, this is going to end badly". It's worth noting though that he's been really wrong on a couple of calls in the past year.